No. 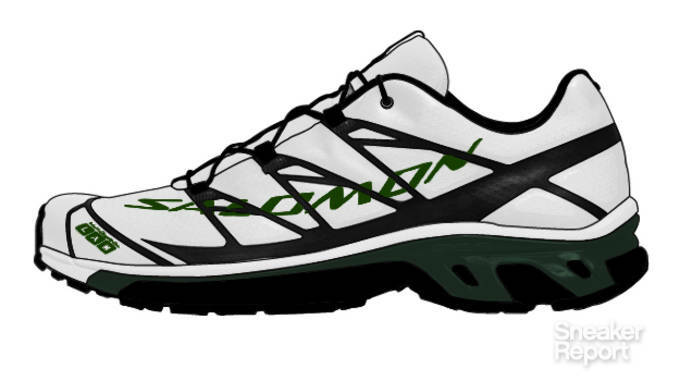 25 - Salomon S-Lab XT 5 "Kamikaze"
Inspiration: Reebok Kamikaze II "Green / Black"
Shawn Kemp would be ready to hit the road in these premium running shoes from the Salomon Lab. No. 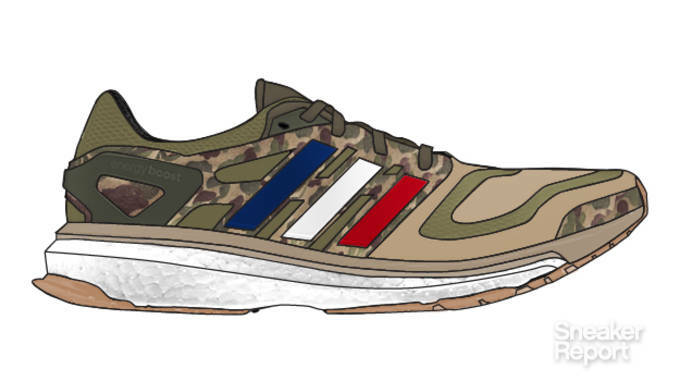 24 - adidas Energy Boost "Bape x Undefeated"
Fusing one of the most anticipated triple collabs of all time with adidas&apos; latest running technology was a great idea the first time around, let&apos;s update from Torsion to Boost and see what happens. <!--nextpage--> No. 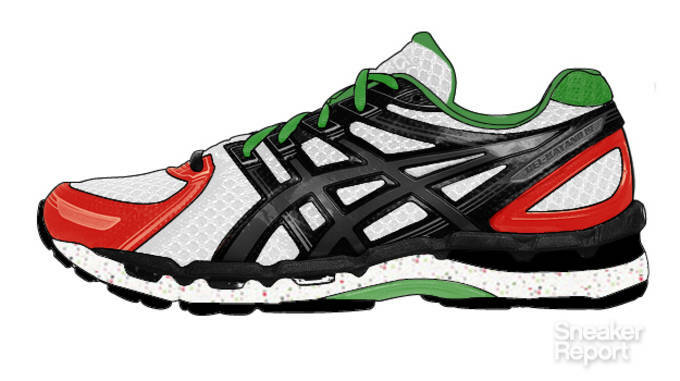 23 - Asics GEL-Kayano 19 "Patta"
The original Patta collaboration from 2007 fused the elements from Amsterday&apos;s Coat of Arms with the signature Patta green. 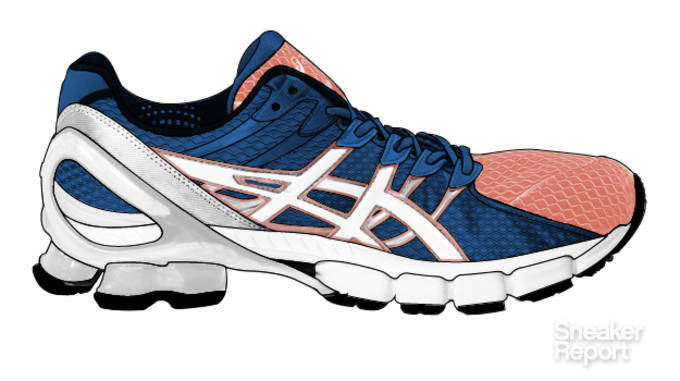 What better shoe to bring it back then the much-loved Kayano legacy? No. 22 - Pearl Izumi Syncro Fuel RD II "Cali"
Inspiration: Nike Dunk Low Pro SB "Cali"
Smooth rider Syncro Fuel RD II can agree that the West Coast is the best coast with this Nike SB remake. No. 21 - Asics Gel-Kinsei 4 "Salmon Toe"
Inspiration: Ronnie Fieg x Asics GEL-Lyte III "Salmon Toe"
If Ronnie Fieg graced his attention to Asics&apos; performance offerings like he&apos;s done with the classics, seeing hypebeasts and core runners battle over the same shoebox would be something to witness. No. 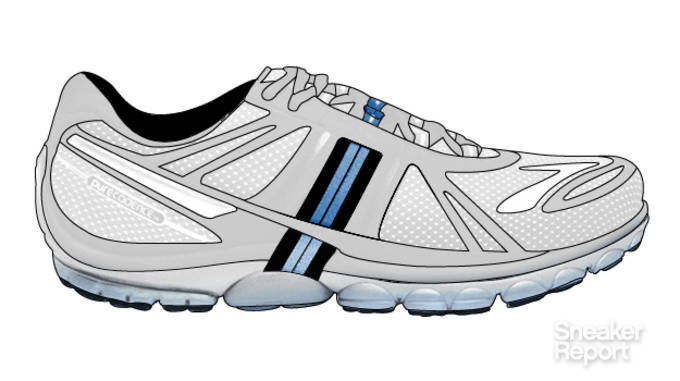 20 - Brooks Running PureCadence "UNC"
Crisp white with a slice of blue is perfect for any runner looking to up their street cred or show some Tar Heel pride. No. 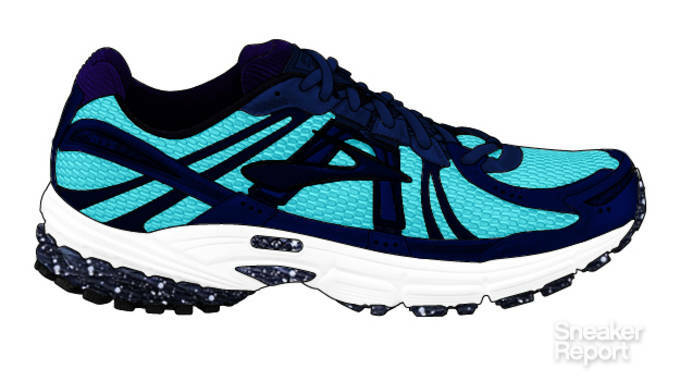 19 - Brooks Running Adrenaline 12 "Cove"
Inspiration: Puma Disc Blaze "Cove"
Again, Ronnie Fieg, come join us on the performance side of footwear. Slap the "Cove" colorway on a reliable shoe like the Adrenaline 12 and it will be impossible to keep on shelves. No. 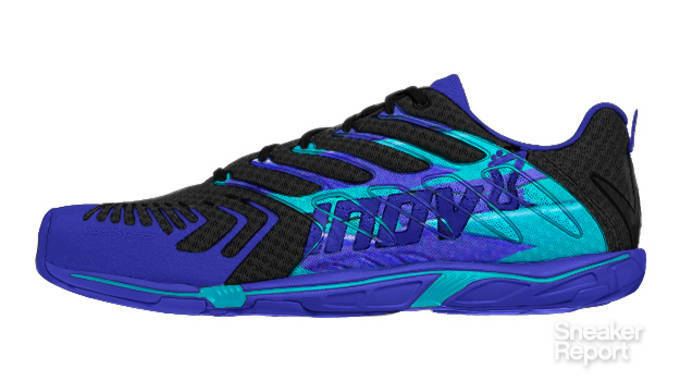 18 - Inov-8 Road-X 233 "Aqua"
Inspiration: Air Jordan VIII "Aqua"
Like the minimal feel of the Inov-8 and the maximum look of "Aqua"? We&apos;ve got you covered. No. 17 - Karhu Flow Light Fulcrum "Auckland"
Italy meets Finland meets New Zealand meets the US to create this spin on performance knit. 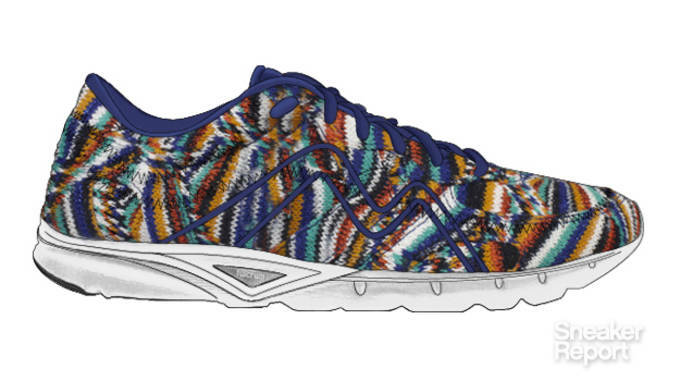 Fusing Karhu&apos;s fulcrum-inspired trainer with the Missoni x Converse creation would give the Flyknit some friendly competition. No. 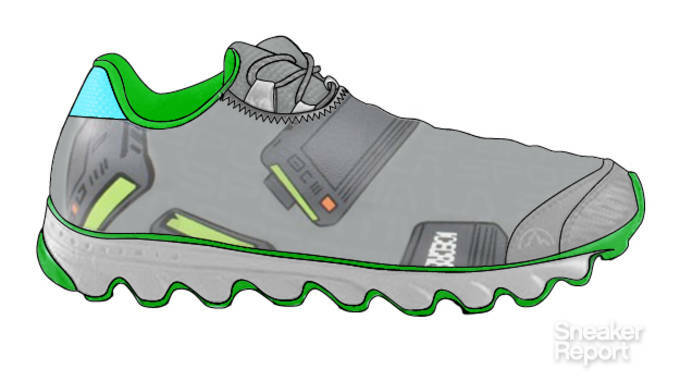 16 - La Sportiva Vertical K "Beeper"
Inspiration: Reebok Ice Cream Low "Beeper"
What would Pharrell wear on a trail run? The Vertical K and the Reebok x Ice Cream share an eye-catching all over print to keep this N.E.R.D. light and fast on his feet. No. 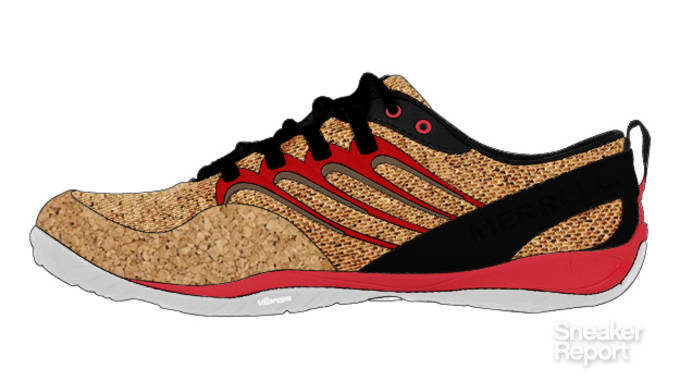 15 - Merrell Barefoot Run Trail Glove "Cork"
Inspiration: Nike LeBron X "Cork"
Barefoot runners and LeBron James couldn&apos;t be more different, let&apos;s give them "Cork" as an icebreaker. No. 14 - Mizuno Wave Prophecy "Flight Satin"
Inspiration: Air Jordan IV x UNDFTD "Flight Satin"
Let&apos;s treat the Lamborghini of running shoes to the rarest Air Jordan IV colorway to date with Olive and Oiled Suede overlays. No. 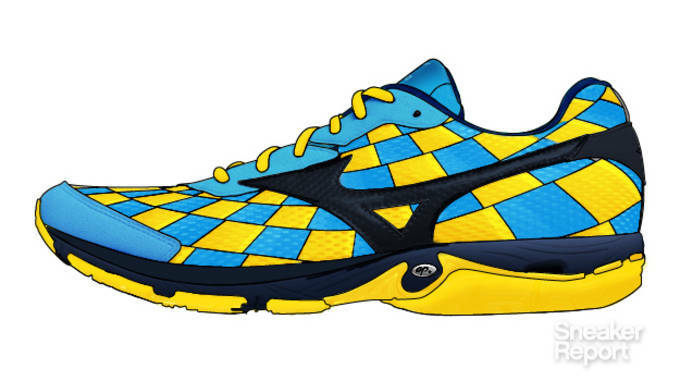 13 - Mizuno Wave Elixir 8 "N7"
Runners might appreciate the Modern Native American art motif that&apos;s so popular in the performance basketball world. No. 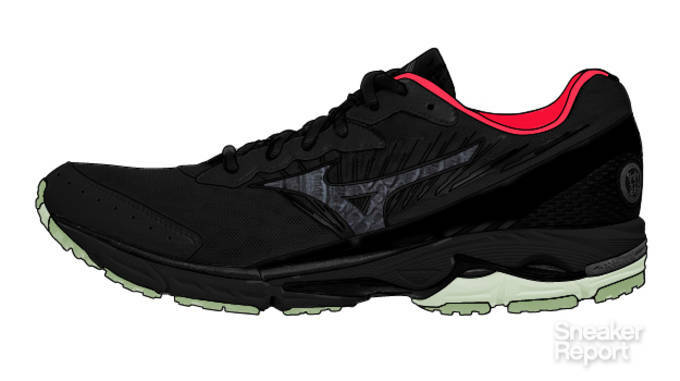 12 - Mizuno Wave Rider 16 "Yeezy II"
The most successful, longest running collections from Mizuno Running deserves the most recognizable and sought after colorway of 2012. <!--nextpage--> No. 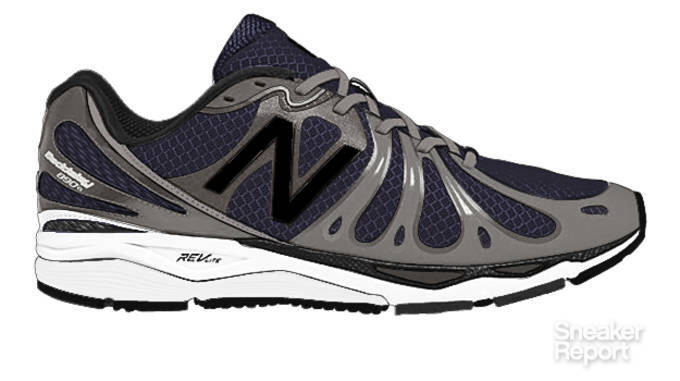 11 - New Balance 890v3 "Classic 1300"
You will appreciate the OG hue that matches everything, your dad will dig the technical upgrade. <!--nextpage--> No. 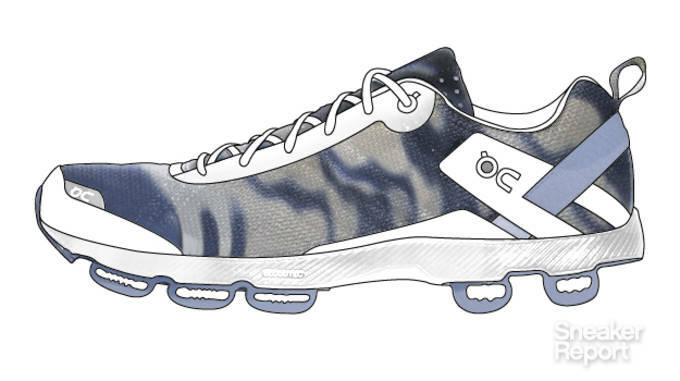 10 - On Cloud Cloudsurfer "Clouds"
Inspiration: Nike Air Presto "Clouds"
<!--nextpage--> No. 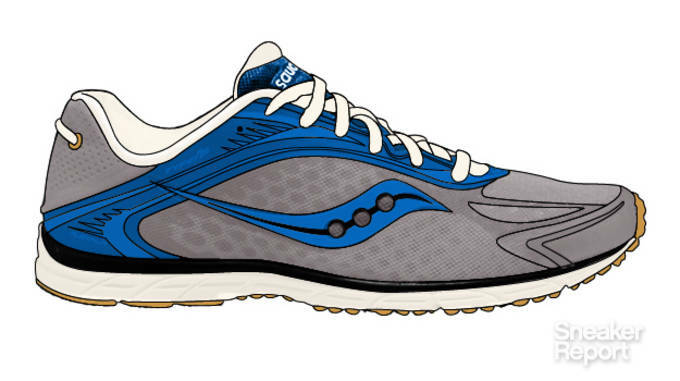 9 - Saucony Type A5 "Bodega"
Saucony&apos;s lightest neutral racing flat currently has an aggressive colorway, some "Bodega" makeup would match the feel of the A5&apos;s smooth ride. No. 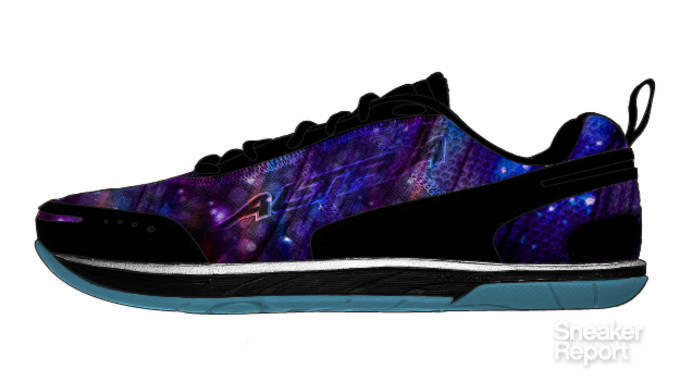 8 - Altra The One "Galaxy"
Zero drop footwear brand Altra may have seemed out of this world when they debuted, so here&apos;s zipper jacket and the glove to match it, feel me? No. 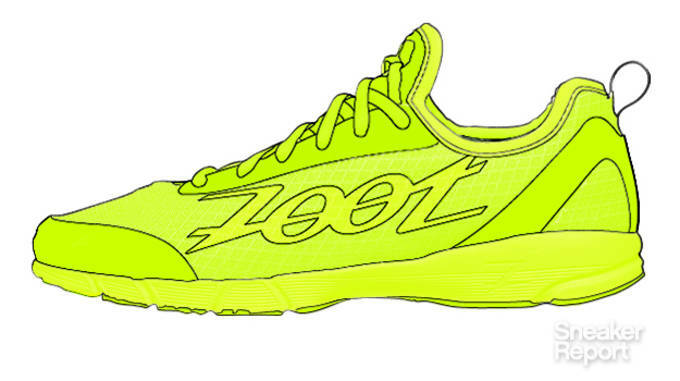 7 - Zoot Ultra Kiawe "Volt"
Nike made this take-charge neon shade the unofficial color of the Olympic Games last summer in London, so it would dope to see the signature color live on with this triathlon-ready shoe this summer. Transition from swim to bike to run with maximum visibility. No. 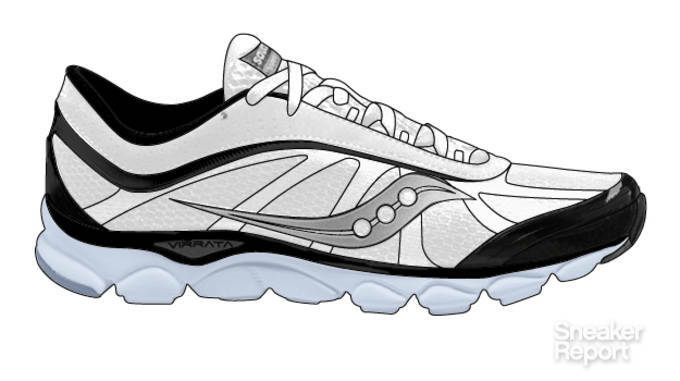 6 - Saucony Virrata "Concord"
Inspiration: Air Jordan 11 "Concord"
Saucony "stripped down to strong" for this super-flexible, lightweight running shoe, just as the AJ 11 kept it simple. No. 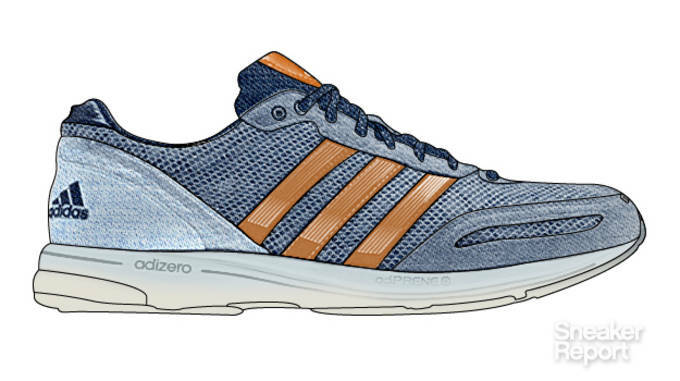 5 - adidas Adizero Adios 2.0 "Denim"
Inspiration: adidas JS Wings "Denim"
A running classic gets the thread to match. 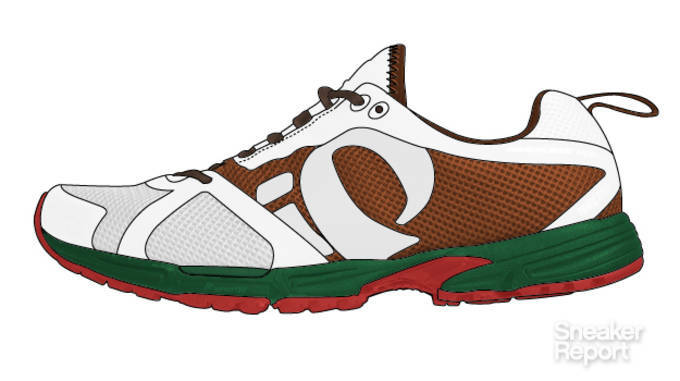 The favorite racing flat of the pros ditches the iconic red and yellow colorway for some Jeremy Scott in the mildest degree. No. 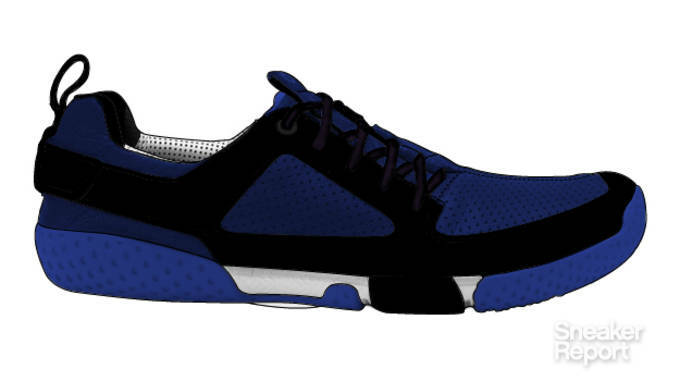 4 - Skora Form "Royal Blue"
Inspiration: Air Jordan 1 "Black / Blue"
No. 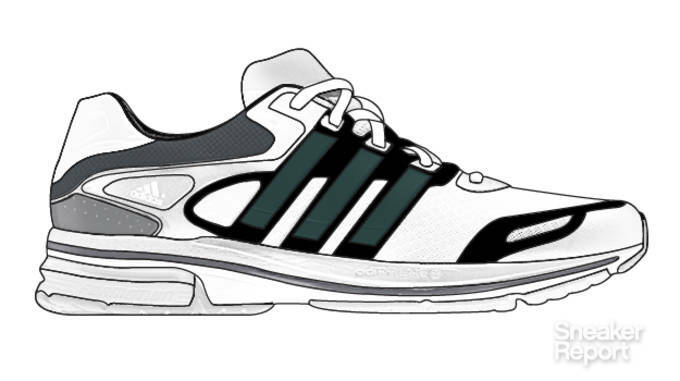 3 - adidas Supernova Glide 5 "EQT"
Pair the original running phenomenon from 1991 with todays&apos; distance running favorite for a more street-appropriate find. No. 2 - Nike Vomero 7 "South Beach"
Inspiration: Nike LeBron 8 "South Beach"
Time to treat runners with the same Floridian-inspired colorways basketball players get every week. 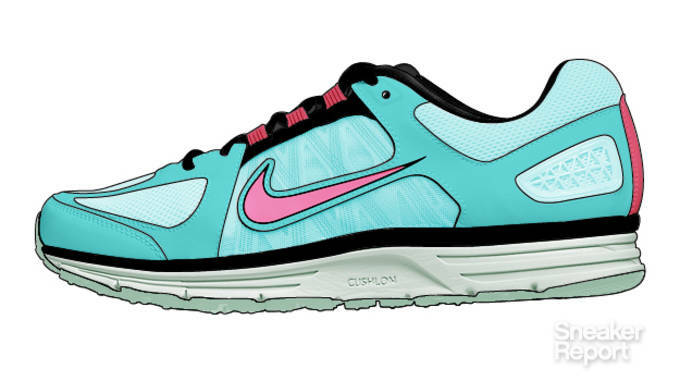 Bring the South Beach to the Vomero. No. 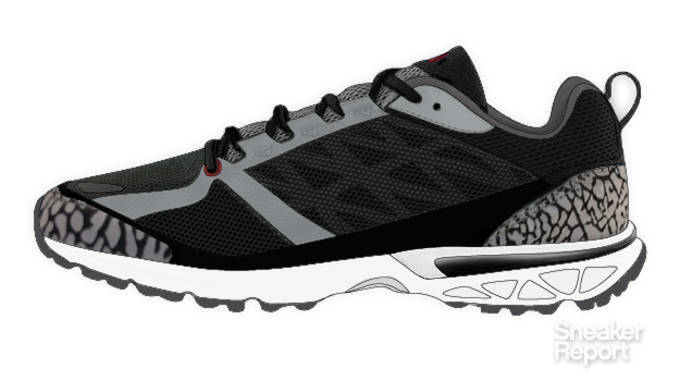 1 - The North Face Single-Track Hayasa "Cement"
Inspiration: Air Jordan III "Black / Cement"
The colorway that is at the top of everyone&apos;s DNFW list is a seamless fit for The North Face Hayasa. 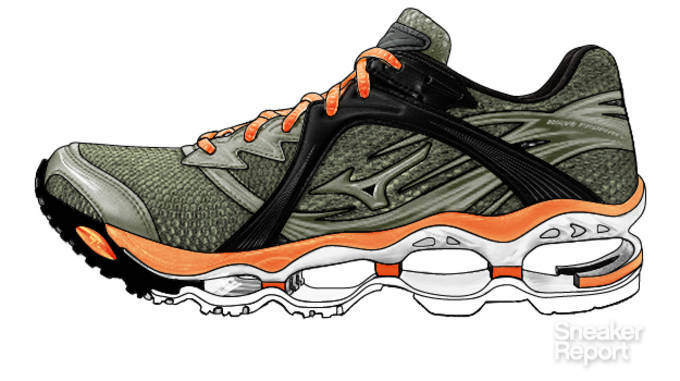 With perfectly placed panels to flaunt the iconic cement print, we wouldn&apos;t be surprised if this trail runner had been designed by Tinker himself.